Finishing my Bachelor of Commerce Honours degree and embarking upon a PhD has really been a challenge and continues to be so. There have been numerous times when my negative self-talk and self-doubts have overcome me for a while and I catch myself buying into the “I’m not …enough syndrome”. These momentary lapses in confidence visit often, and time and time again – I boot them to the curb and remember to just keep going. One of our respected senior academics told us that the ‘imposter’ another of those ‘not enough’ syndromes is also a regular visitor at all levels of academia. Hearing that allowed me to understand that the challenge is real and it is an ongoing battle with your-self. So here we go, time to rewire the brain, reset the comfort zone thermostat, and recalibrate the thought patterns to interrupt such limiting beliefs. It’s important to find ways to learn better, take advantage of the resources available from the academy and each other, survive financially, and enjoy the journey along the way. Wānanga writing retreats are a pedagogical process that have worked for, by, and with Māori and indigenous students. Attending PhD wānanga and writing retreats have been one of the most helpful and powerful activities that I’ve been privileged to participate in during my PhD journey. These wānanga are usually set in wonderfully empowering environments and the main focus is on writing toward your thesis. I’ve been to three different types and each one brings their own treasures. From self-organised and self-catered with friends, to fully catered and organised around Māori, Pacific and indigenous PhD student cohorts. The single thing that gets repeated during the evaluations at the end of wānanga, is the surprising amount of work students achieved within the retreat setting. A national network, the Māori and Indigenous (MAI) programme was conceived of in the nineties for the enhancement of Māori and indigenous post-graduate students throughout Aotearoa New Zealand. One of the objectives was to increase the number of postgraduates and in turn increase the amount of qualified and skilled researchers as well as academic teachers and supervisors. Our Auckland group is MAI ki Tamaki. It is a great privilege to be on a journey with such an interesting cohort and learn about a broad range of research topics. MAI ki Tamaki students (and probably other MAI students) feel with MAI they have a “second whanau”. Being able to meet the cohort regularly at the writing retreats and other events has attributed to their success, ability to meet deadlines, reduction in isolation and helped them get through their PhD. There is something to be said about living, eating, sleeping and breathing a shared ‘kaupapa’. It’s a time when everyone is on the same page, we inspire each other, and those further through the journey remind the new ones that it’s possible and to keep going. Being a holistic ‘kaupapa’ there is room for the spiritual elemen and a lot of healing that takes place. Students arrive in various states of well-being from highly charged to tired, pained, lost and confused. The wānanga writing retreats are a place where love and positive energy is generated, shared, and embraced. Last month a cohort of indigenous scholars from MAI ki Tamaki were joined by MAI ki Waikato for what was probably our last writing retreat at Vaughn Park Retreat Centre, Long Bay. These writing retreats are a luxury. We are supported by inspirational leaders and senior academics who we can meet with and discuss our research. Without needing to worry about cooking and cleaning, students are offered a private room in a shared apartment. This distraction free environment sees most students start writing soon after arising in the morning and continue until late into the wee hours. This writing marathon is punctuated by deliciously catered meals, strolls through the retreat grounds and along the beach below. Meal times are filled with an energetic collaboration of research ideas, topics, questions, explorations and breakthroughs. This very process of voicing your work and being heard by those who understand and care about your journey is extremely important and each of us gains through learning together. The environment is conducive to working alongside your peers and normalises being Māori and indigenous scholars where in the academy you are most likely in a minority or worse, could be all alone. It was with regret we received news that it was unlikely that funding would be available for further retreats after 2015. 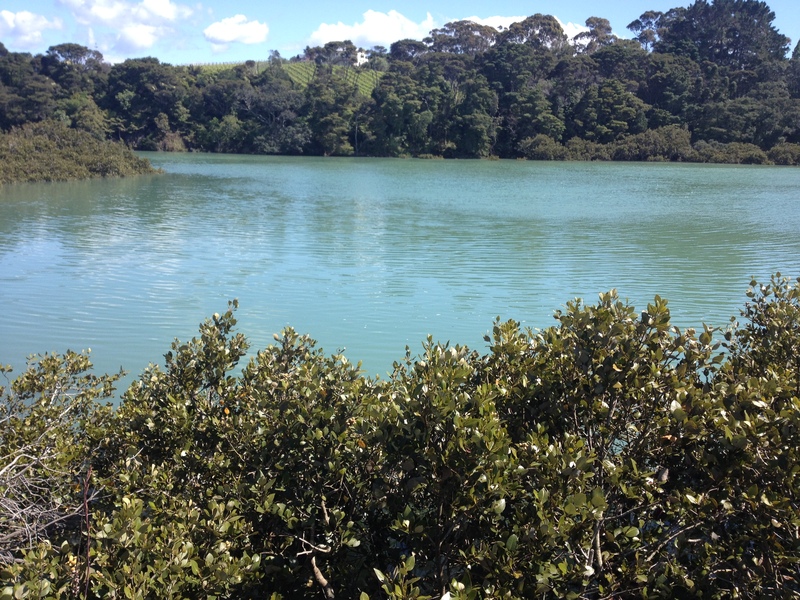 A similar wānanga writing retreat initiated by Matt and Mona from Te Fale Pouāwhina – Student Learning Services aims to assist Māori and Pacific students in completing their postgraduate degrees. Large holiday homes are the usual domicile where the maximum occupancy accommodates as many keen students as possible. Matt our camp father prepares healthy, delicious kai, whilst our camp mother Mona circulates offering one-on-one research assistance. Students find their own nooks and crannies in the dining, lounge and bedroom areas where again writing continues from early morning to late at night. Group walks start early, and karakia offers a cultural fabric to open and close the day’s work. Talanoa is a formalised way of sharing research in a five minute presentation followed by questions that aim to contribute to the student’s research project. Being under one roof, these wānanga also build collaboration, connectedness and whanau unity. The last type of wānanga writing retreat I’ve participated in is much less formal and usually organised in pairs or small groups of students who agree to work together. 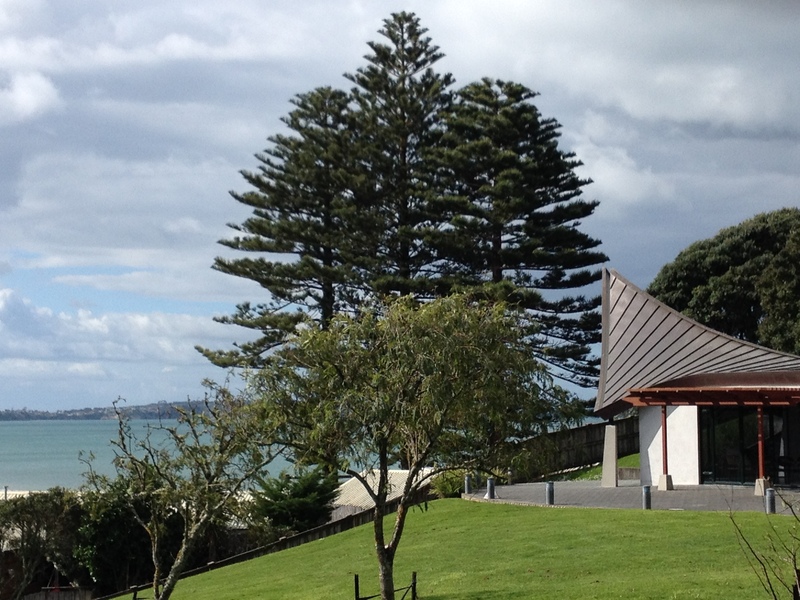 Recently, a small group of us studied at a holiday bach on Waiheke, another time in a motel and at other times in our homes. All of these types of wānanga writing retreats give us the ability to discuss and share ideas in a forum we find safe and culturally familiar. It’s not that all Māori and indigenous students prefer to bolster their numerous hours of individual research with collective and collaborative learning, but for many it is a necessary and valid way of learning that supports our own ways of doing, being, and knowing. This ought to be encouraged and new and innovative ideas sought to ensure that the process of wānanga – writing retreats continue in some format or the other. Let me know if you have any ideas in the comments below. awesome post Abi, you captured what these wananga have meant to me for the past couple of years. yes wonderful expressions of wananga experienced by us all Abi- great piece !! I love these writing wānanga as I find them incredibly uplifting and productive. The recent MAI one I felt a sense of belonging—whanaungatanga—talking about interesting research with interesting people who all had a purpose. Our retreat on Waiheke was just as stimulating and allowed a safe space to ask all the “dumb” questions I would never dare in an open forum. I agree that working and collaborating with others is a necessary outlet, if for no other reason than to stifle the crazy of solitude!! Abi great peice and well written. I know you have the challenges to complete your PHD and it will happen.Whāia te iti kahurangi ki te tūohu koe me he maunga teitei. 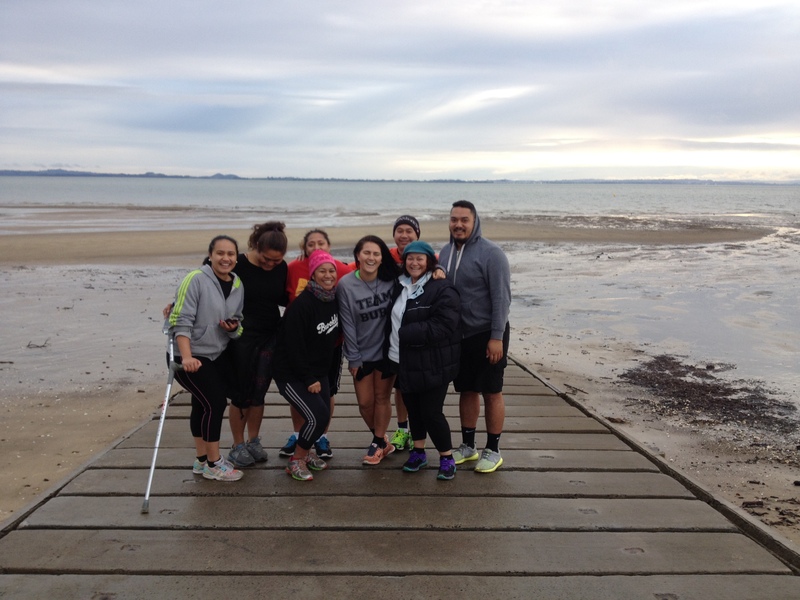 It is great support from the Wananga, that gives the energy and belief that one can complete their task. Who said it was going to be easy! If it was easy then everyone would be doing it. It is with belief and drive that motivates us to strive for that goal and the people that surrounds us which adds the extra support or constructive critic to challenge your thoughts or arguments.A wananga environment set up for Maori and Pacific Island Tauira, it is so much different from the small study groups or independant study by our Pakeha brothers and sisters. The dynamics is different, with the sense of whanaungatanga, yes the goal is to complete the tohu but it comes with the motivation of self achievement and realising this is not only for you but it will be shared with your whanau near and far. It is at this moment of time that all that hard work has paid off, and you reached your goal. Arohanui my cousin, keep up the great work. Tautoko nga korero cuz. Tena koe mo te tautoko, me nga whakaaro aroha. Pai rawa enei whakatauki hoki. Mauri ora! Manahau ana te ngakau i te tuhinga nei hei whakamarama te huarahi hei whiwhi te tohu matua. What a journey! Ahakoa ngā piki me ngā heke a te wā ka whiwhi! Ko te mea nui, ka whakawhanaungatanga i runga i taua huarahi! Thank you for sharing your journey with us. Otira rā, kia mau, kia pūpuri, kia kore ai e ngaro, na te mea e noho ana waenganui i ngā whānau Māori i runga i āu koutou huarahi. Kia waimarie koutou katoa.